ST. PAUL, Minn. & WARREN, Mich. – 3M (NYSE:MMM), a global leader in consumer and industrial material sciences, and Eckhart, an Industry 4.0 solutions pioneer, today announced the successful launch of the 3M™ Automated Taping System (ATS), a collaborative robot-based automated tape application system jointly developed by both companies for the automotive and industrial market. 3M applies science in collaborative ways to improve lives daily. With $32 billion in sales, our 91,000 employees connect with customers all around the world. Learn more about 3M’s creative solutions to the world’s problems at www.3M.com or on Twitter @3M or @3MNews. For nearly 100 years, 3M has been a supplier of innovative, value-added solutions to the automotive industry. Hundreds of 3M products are used in the manufacture of vehicles, ranging from consumable products in assembly plant operations, to many others engineered into body, exterior, interior, powertrain and chassis components. 3M Automotive and Aerospace Division sales and application engineering centers and/or manufacturing facilities are located in over 40 countries around the world, wherever vehicles are manufactured. In addition, automotive research and development centers located in the U.S., Germany, Japan, China and India strive to maintain close ties with automotive OEMs and tier suppliers globally. Learn more about automotive solutions from 3M at 3M.com/AutomotiveOEM. With over 60 years of experience and based in Warren, Michigan, Eckhart engineers advanced industrial solutions that enhance the quality of life. 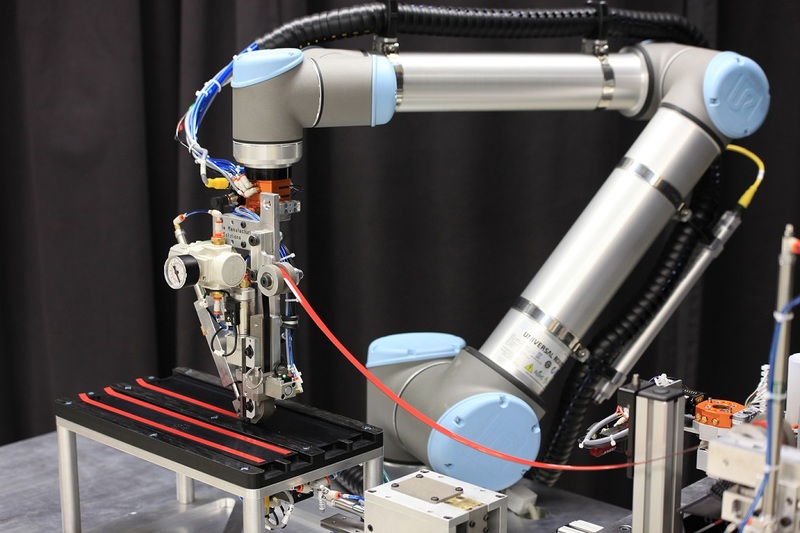 Eckhart’s proven portfolio of Industry 4.0 technology includes AUTOCRAFT™ autonomous guided vehicles (AGVs), collaborative robotic systems, traditional robotics, contract assembly line design & simulation, 3D printing tool development & production, and ergonomic general assembly tooling solutions for the world’s largest manufacturers. Eckhart serves an established and loyal, blue-chip customer base of leading automotive and industrial original equipment manufacturers.